Asus started its Computex 2016 announcements with a bang by showcasing its much-awaited beast – the Zenfone 3 Deluxe, alongside other launches. The Zenfone 3 Deluxe is Asus’s top of the line smartphone with high-end specification and premium built quality. 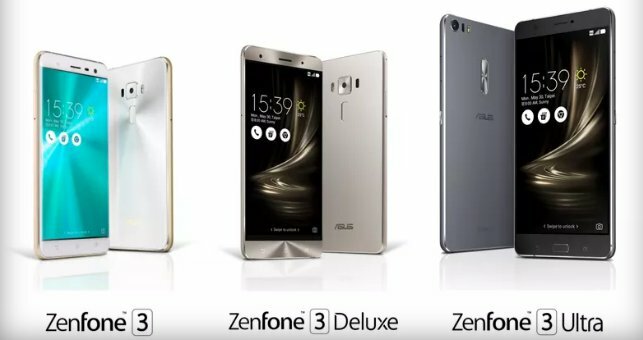 The Asus Zenfone 3 Deluxe is priced at $499 and comes in gray, silver, and gold Color options. It is expected to be available hit the stores in the Apart from Asus Zenfone 3 Deluxe, it also introduced a comparatively affordable Zenfone 3 and a phablet Zenfone 3 Ultra. At the launch event, Asus claimed the Zenfone 3 Deluxe features “Aluminum unibody” construction with invisible antenna bands. The phone houses a 5.7-inch Super AMOLED display with full HD resolution and 3,000,000:1 dynamic contrast ratio. It boasts of Snapdragon 820 coupled with 6GB of RAM and Adreno 530 GPU. It comes with 128GB UFS 2.0 internal storage. The phone also includes Asus’s Pixelomaster 3.0 enabled Cameras. At the rear side, it comes fitted with Sony’s IMX318 23-megapixel camera with 6p element lens, Sapphire cover glass, DTI technology, Advanced PDAF, 2nd generation Laser AF and Motion AF. The Pixelmaster camera comes with 4-axis OIS for clear shake-free pictures. It also has 3-axis gyroscope. Asus has added a USB Type-C connectivity port along with Quick Charge 3.0 technology for fast charging. The fingerprint sensor on Zenfone 3 Deluxe is mounted on the back. For Audiophiles, it comes with powerful five-magnet speaker and NXP smart amplifier to deliver top notch entertainment and music experience.